I agree with the comments made by all pet lovers. Their pet is extra special and the photo they have just posted is fabulous. Let's face it the love you give and receive from your pet knows no boundaries, one look from their soft eyes and your heart will melt every time. When you spend 24 hours a day with your pet you form an unbreakable bond that will last a lifetime, and when they are ill you feel their pain. 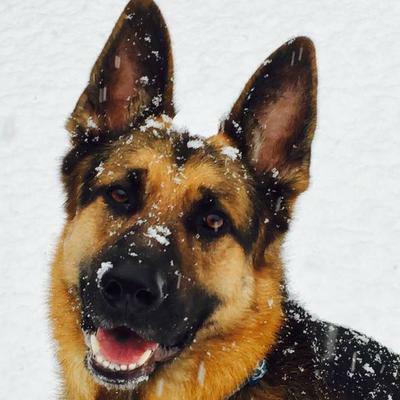 We recently lost our German Shepherd and I had to write "The life and times of Gemma," by Bryan Jowett Hall to share with other pet lovers. This personal story graphically describes her life from the minute we rescued her to the heart wrenching final chapter of her life. Kimberly, I totally agree with you. This is probably one of the best GSD pics. Sabyr is adorable.